Not everything is fun and pretty about taking pictures. I was really hoping after all the rain we've been having, that the sky would be a lot clearer from up in the Whittier Hills. The sky is still pretty ugly right now. Maybe it is the wrong time of day. 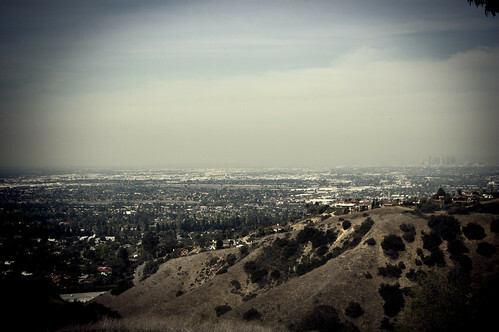 Sometimes, we can see clear from the mountain range containing Big Bear all the way to Santa Monica. That's about 100 miles east to west. The ocean sits south of us and the Hollywood Hills, to the north. From shore to hills is about 35 miles. I keep waiting for a day that will display the whole circle.